I don't know about you, but I love an extra creamy smoothie. There are a few ways you can achieve that silky smooth texture in a blend. I don't like things that take a lot of time, so I've got some super simple, super quick tips for you on how to achieve this. 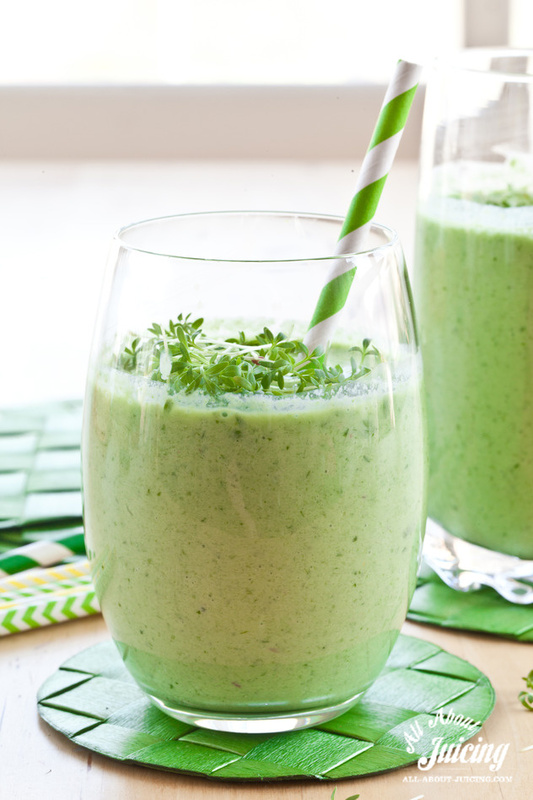 I also had to share my most favorite creamy green smoothie recipe so you can try it yourself. To achieve a creamy texture for your smoothies you'll have to address two things: your machine and the ingredients, often adding healthy fats. A good high powered blender is so important for good, creamy texture. On a high powered blender like a Blendtec, Vitamix or Ninja, the blades are sharp and designed in a way to powerfully pulverize the produce, resulting in a more even-like, smooth texture. I think it's essential. Not all of us have a high powered blender, so if that's you, just blend longer. It won't be quite like a Vitamix, but it will be closer. Blend for at least a minute or two to ensure the mixture is smooth. You also might want to only use fresh ingredients an never frozen as it's easier to get a creamy smoothie with soft produce. Avocados have a high fat content and are very silky smooth. When you add just 1/4 cup of an avocado to a fruit or green smoothie, it emulsifies and contributes to a smooth texture. It's my favorite way to get a creamy smoothie. Bananas are soft and silky and will help make your smoothie soft and creamy. If you rather not add a whole banana, add only 1/2 of a banana to help achieve a creamy texture. Freezing milk or yogurt cubes, either dairy or non-dairy, and using a few cubes in your smoothie recipe help with the texture. When the frozen cubes are broken up and mixed with fresh fruit it makes it cool and ice cream like. Coconut oil and full fat coconut milk have healthy fat, and just like avocado, it emulsifies into the smoothie to make a creamy texture. You only need 1 teaspoon to 1 tablespoon of coconut oil in your smoothie. If you're adding coconut milk you can replace your liquid portion of the recipe with it or just add a few tablespoons for flavor and texture. Add fresh yogurt, dairy or non-dairy, to your smoothie to make it more creamy. I love making smoothies that include mangos or pears to smoothies as they are thick and when blended make a creamy, thick smoothie. While there are other ways and ingredients to get a creamy smoothie, these are my favorite go-to add-in's to make it just right. Experiment with these additions to get the creamy texture you desire. 1. 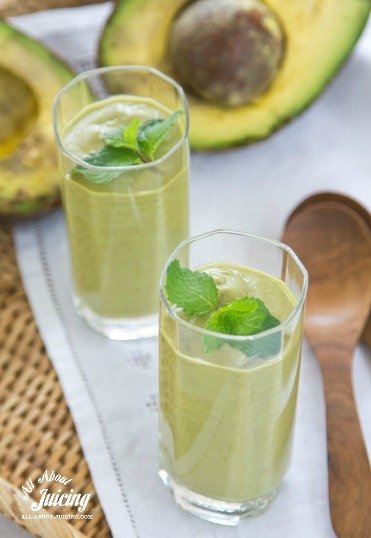 Add the water, avocado, pear, spinach, lime, 1 date, and ice to your blender container. 2. Blend until smooth and fully combined. Taste and add another date if you'd like more sweetness. Serve immediately.